Jawab e Shikwa English is an effort to translate the original Urdu text of Jawab e Shikwa in English for better understanding of the lovers of Urdu language. 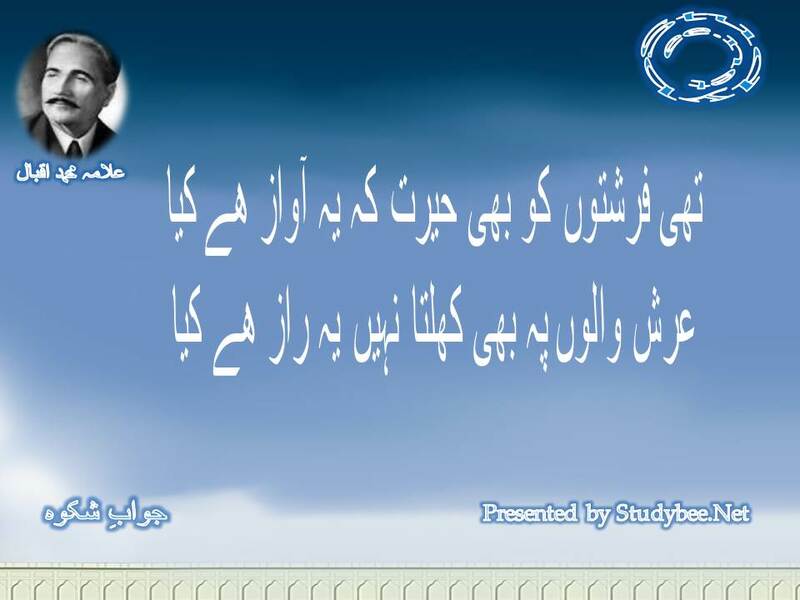 Allam Iqbal produced great Urdu poetry. He was respected by people from all walks of life for his subtle, sublime, realistic and universal approach towards life. He wrote social poetry, religious poetry, political poetry, love poetry etc. 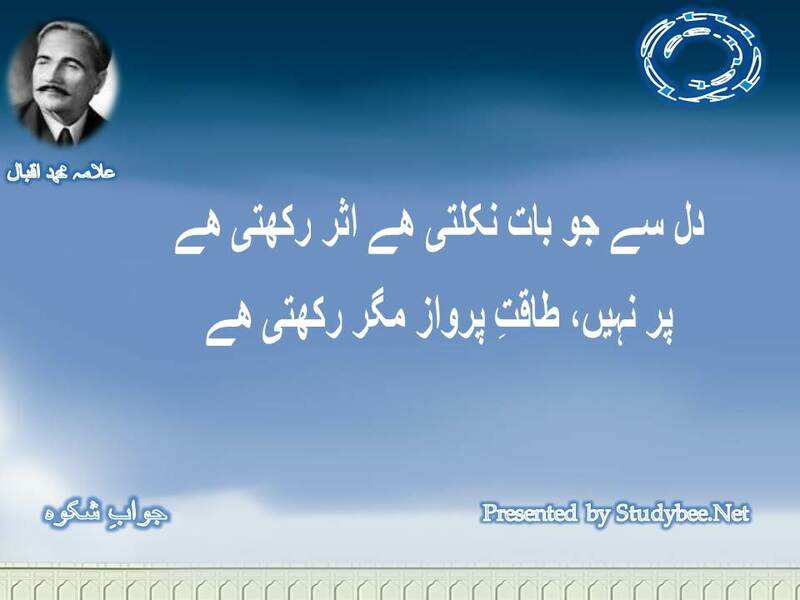 But the most discussed of all his poetry remained Shikwa, the complaint, and Jawab e Shikwa, reply to the complaint. It is a well known fact that Allama Muhammad Iqbal’s reputation as a great poet seemed to be in trouble for a while when he published Shikwa without its sequel, the Jawab e Shikwa. 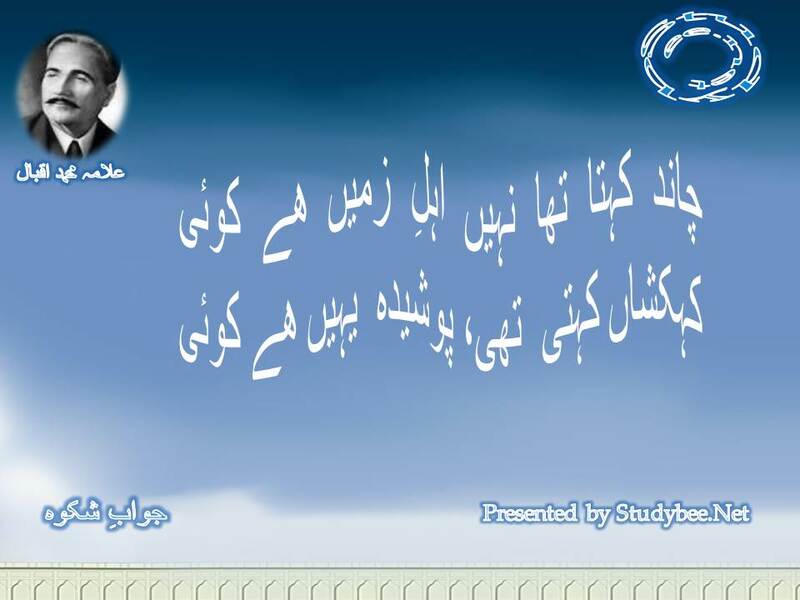 With the publication of this poem, Iqbal’s poetic excellence earned greater respect. 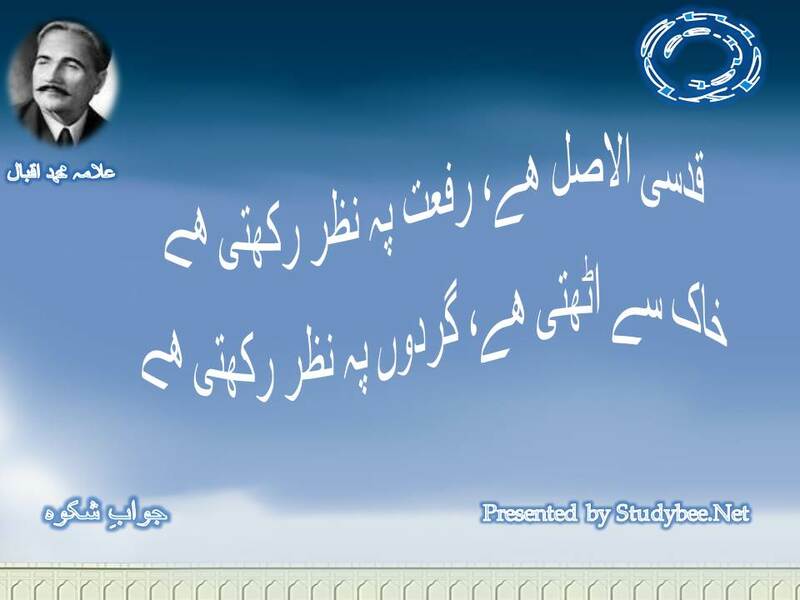 Jawab e Shikwa English is tribute to Allama Muhammad Iqbal. Where Shikwa was a plaint of a common Muslim of today, the Jawab e Shikwa was the reply of the God Almighty to the woes of suffering Muslims. Where John Milton wrote Paradise Lost to “Justify ways of God to men”, Iqbal wrote the poem to do the same but this time within the context of the woes of Muslims and their complaints. The meanings and scope of this poem could even be spread beyond Muslim sense but since the Shikwa was by a Muslim in the historical prospect; therefore, we tend to comment on it in a rather confined way. 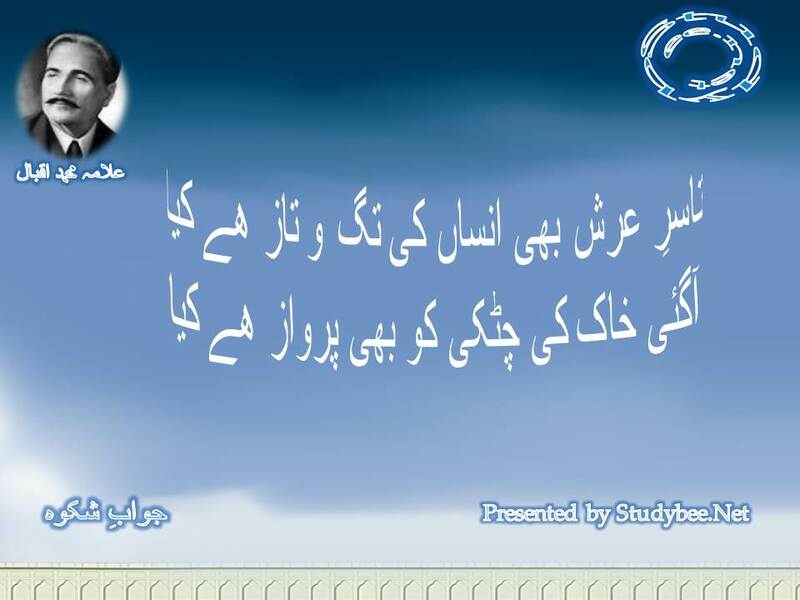 Within context of the two referred poems, Quotes of Milton, Quotes of Paradise Lost, Quotes of Allama Iqbal and Shikwa jawab e Shikwa remain widely referred. Though without wings, they may fly up to the heavens. Having beginnings in the dust, human prayer is heard by God Almighty. With its daring complaints, it pierced the layers of the sky. The planets spoke that whosoever it is, find them on the highest sphere where God sits on His throne. The Milky Way believed it was hiding in it. He recognized me as the man expelled from heaven. Even the celestial beings were unable unveil this mystery. They were stunned that man has learnt to fly this high.